It's been a year since I replaced the key fob on my 2004 Malibu, saving more than $100 buying online instead of from a dealership. I paid about $25 for the fob and $50 to have a Chevy dealer program it a year ago. 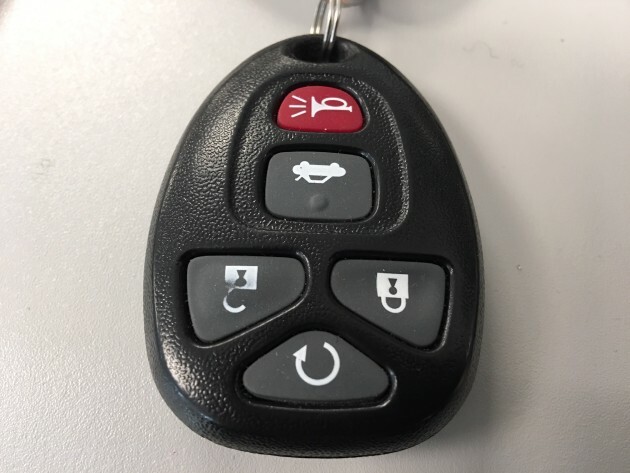 It's possible to find replacement fobs online for even less, but some auto and online dealers warn against buying "2 for $15" fobs that work for a couple of weeks and then die. Auto repair shops who program a third party device say they will not guarantee non-factory fobs. If they cannot get the non-factory fob to work, the customer still has to pay the $50 to $90 programming fee. The Original Equipment Manufacturer (OEM) fob I purchased from Northcoastkeyless.com for $25 still works flawlessly after a year. My only nit is that the paint is starting to fade on the unlock button as shown. Several weeks ago, I decided to order a second fob, since the spare key fob died years ago. (I checked first to see if it was a battery issue. It wasn't.) Northcoast's price has increased to $30, although the company also offers used fobs for $20 for the Malibu. According to Northcoast owner David Halko, he purchases new or used fobs from salvage yards, dealerships, locksmiths, repo guys, and rental car companies. They are cleaned up, tested and given the same warranty as new ones, 30 to 90 days. There are several sources from which to buy replacement fobs, including Amazon.com, Remotesremotes.com, Keylessentryremotefob.com and Northcoast. Halko said buyers should be leery if a site indicates that the fob is a "replacement part to match the original in form and function," often a sign of an inferior aftermarket model. I saved about $100 to $130 on the fob shopping online compared to local Chevy dealers. Consumers purchasing a fob online usually save 20 to 70 percent over auto dealers. Those who have a vehicle with a smartkey or keyless entry are likely to save the most. Most online fob sellers will send self-programming instructions if they have them, so that the consumer does not have to use a dealer or a professional to program it. Also check YouTube for video instructions on your make and model. Consumers who don't want to do the programming themselves can also shop prices from dealerships, locksmiths, auto repair shops and Batteries Plus locations. I checked with three Twin Cities Chevy dealers for the cost of labor to reprogram, which ranged from $50 to $85. For more places that sell fobs, put "replace key fob for (your car make, model, year)" in the Google search field. Also check YouTube for videos on possible ways to repair the fob instead of replacing it. One do-it-yourselfer suggested opening the fob case and gluing small squares of aluminum foil on the contact points to improve the connections.